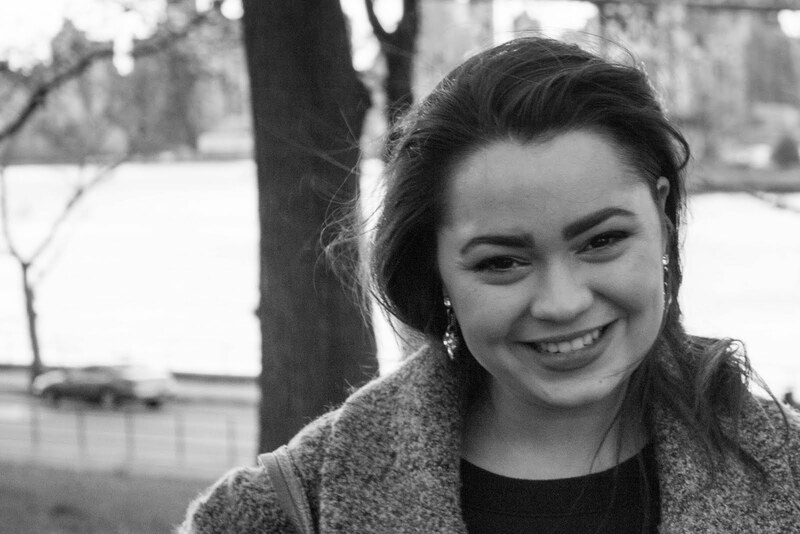 A few months ago, I was feeling pretty blah about my skin and hair. Both were dry, my hair was damaged, and my skin was beyond sensitive. I decided to make some changes. Among many, was the decision to introduce oil based products into both my hair and skincare routines. 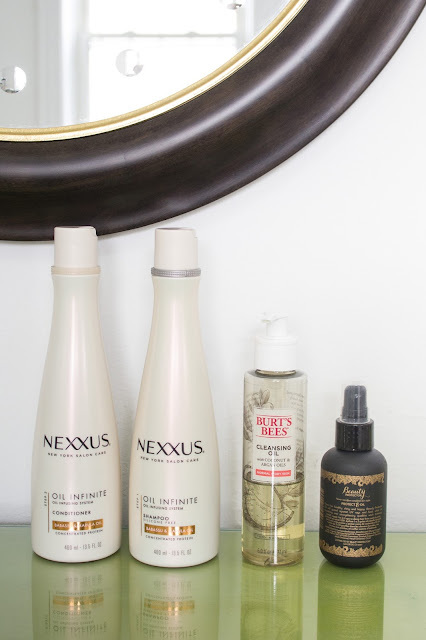 Believe me when I say, it's a total game changer and I'm excited to share a few of my faves! Around December, my skin was so sensitive that it would burn slightly every time I applied my normal makeup. -- really not good! You may remember from this post that I have a skincare routine I swear by, and that's still true. My skin looked great, but this extreme sensitivity led me to believe that my routine was possibly too harsh for the season. I decided to change it up. 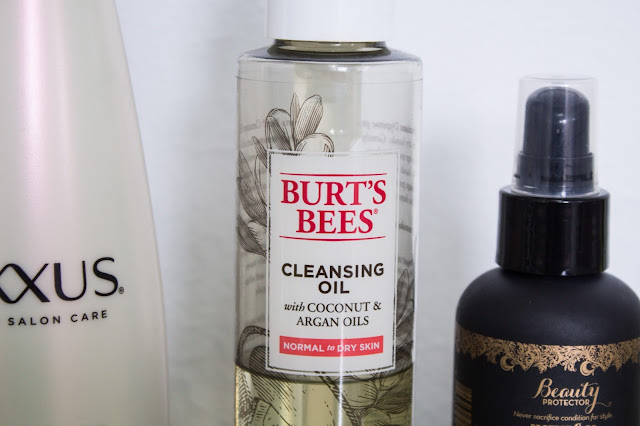 Enter: Burt's Bees Cleansing Oil. I seriously am in love with this product. Not only does it smell amazing, but it's moisturizing, super gentle and 100% natural. My skin feels so clean and after a few weeks, it was nowhere near as sensitive as before. For my hair, I started by snipping the split ends (a new haircut can seriously give you a new perspective on life) and then I started protecting it from anything and everything that wanted to do it harm (cough- curling iron-cough). I wash it less, use heat tools less, use a heat protector when I do, and started taking adult gummies for healthy hair. 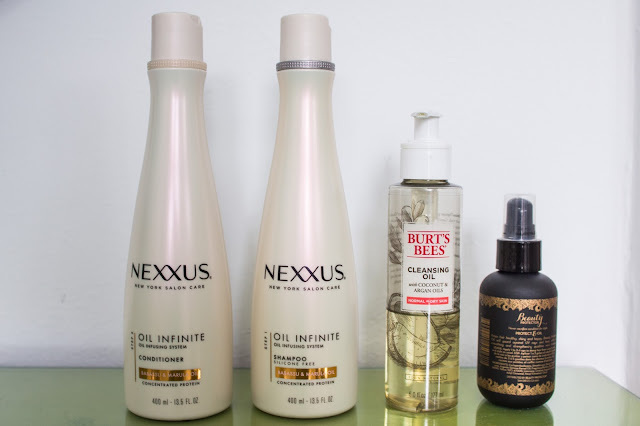 All of this has had an incredible effect, but what I want to share with you today is - you guessed it - the introduction of oil into my hair routine. 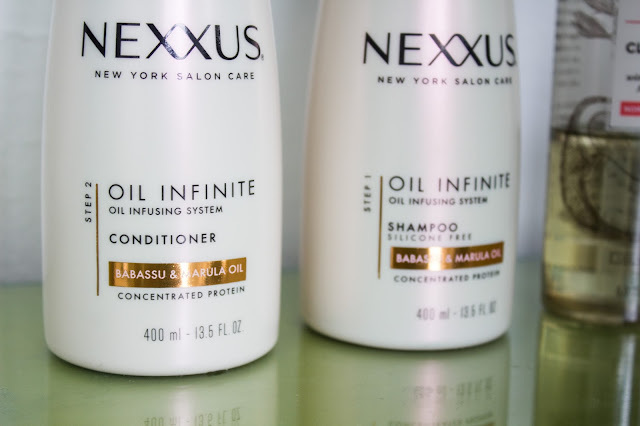 I started by using Nexxus Oil Infinite shampoo and conditioner and it has seriously helped my hair stay healthy and shiny. I specifically concentrate the conditioner towards the ends to strengthen and protect against breakage. 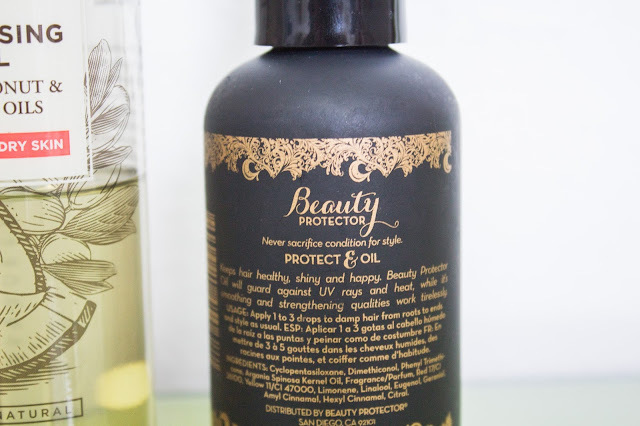 Here's my other oil-based secret: Beauty Protector Protect & Oil. It's everything. It works double duty as a heat protector and hair strengthener. As a bonus, the scent leaves my hair smelling amazing. I have to say, these products (combined with everything else I started doing) are really working. I'm seeing healthier hair and less split ends, and it's been 15 weeks since my last haircut! In conclusion - I'm all about that oil (for cooking and dipping bread, as well as my hair and skincare routines). It's seriously been working some kind of magic. Maybe give it a try? Think of oil the possibilities. -- ok, that was really bad but give me a break. It's late.